The first discoverers of the Hawaiian Archipelago, Native Hawaiians, have continued to inhabit these islands for thousands of years prior to Western contact. 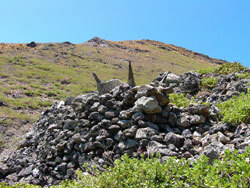 During this time, Native Hawaiians developed complex resource management systems and a specialized set of skills to survive on these remote islands with limited resources. Native Hawaiians continue to maintain their strong cultural ties to the land and sea and continue to understand the importance of managing the islands and waters as inextricably connected to one another (Beckwith 1951; Lili‘uokalani 1978). More specifically the ocean played an important role to Native Hawaiians as it was used for resources and physical and spiritual sustenance in their everyday lives. Poetically referred to as ke kai popolohua mea a Kāne (the deep dark ocean of Kāne), the ocean was divided into numerous smaller divisions and categories beginning from the nearshore to the deeper pelagic waters (Malo 1951). Likewise, channels between islands were also given names and served as connections between islands, as well as a reminder to their larger oceanic history and identity. In Hawaiian traditions, the Northwestern Hawaiian Islands are considered a sacred place, a region of primordial darkness from which life springs and spirits return after death (Kikiloi 2006). Much of the information about the NWHI has been passed down in oral and written histories, genealogies, songs, dance, and archaeological resources. Through these sources, Native Hawaiians are able to recount the travels of seafaring ancestors between the Northwestern Hawaiian Islands and the main Hawaiian Islands. Hawaiian language archival resources have played an important role in providing this documentation, through a large body of information published over a hundred years ago in local newspapers (e.g., Kaunamano 1862 in Hōkǖ o ka Pakipika; Manu 1899 in Ka Loea Kalai‘āina; Wise 1924 in Nūpepa Kuoko‘a). More recent ethnological studies (Maly 2003) highlight the continuity of Native Hawaiian traditional practices and histories in the Northwestern Hawaiian Islands. Only a fraction of these have been recorded, and many more exist in the memories and life histories of kupuna. By the time of Western European contact with the Hawaiian Islands, little was collectively known by the majority population about the Northwestern Hawaiian Islands as few traveled to these remote islands and seen them with their own eyes. Within the next century, a number of expeditions were initiated by Hawaiian ali‘i to visit these islands and bring them under Hawaiian politicalcontrol and ownership. The accounts of these historical expeditions were published in great detail in the newspapers from 1857 through 1894, as they related to each visit. The Proclamation, signed by President Bush on June 15, 2006, that designated the Northwestern Hawaiian Islands as a Marine National Monument states that "a person may conduct an activity regulated by this proclamation if such activity is specifically authorized by a permit," and in section D of the findings, permissible activities include those that "support or advance the perpetuation of traditional knowledge and ancestral connections of Native Hawaiians to the Northwestern Hawaiian Islands." The original Reserve goals and objectives, as well as those of the, now, Monument also reinforce this position. While subsistence, and more broadly Native Hawaiian practices, are recognized and protected in the Hawaiian Islands (Constitution of the State of Hawaii; PASH 1995), definitions differ in various marine managed areas (KIRK 2004; Constitution of the State of Hawaii). The Monument definition of Native Hawaiian practices and subsistence use is based on a review of existing definitions, the goals and objectives of the Monument and the July 2004 recommendations from the Reserve Advisory Council, which provided official comment when the region was considered the Northwestern Hawaiian Islands Coral Reef Ecosystem Reserve. Native Hawaiian Practices means cultural activities conducted for the purposes of perpetuating traditional knowledge, caring for and protecting the environment, and strengthening cultural and spiritual connections to the Northwestern Hawaiian Islands that have demonstrable benefits to the Native Hawaiian community. This may include, but is not limited to, the non-commercial use of Monument resources for direct personal consumption while in the Monument. Today, Native Hawaiians remain deeply connected to the Northwestern Hawaiian Islands on genealogical, cultural, and spiritual levels. Kaua‘i and Ni‘ihau families voyaged to these islands indicating that they played a role in a larger network for subsistence practices into the 20th century (Tava and Keale 1989; Maly 2003). In recent years, Native Hawaiian cultural practitioners voyaged to the Northwestern Hawaiian Islands to honor their ancestors and perpetuate traditional practices. 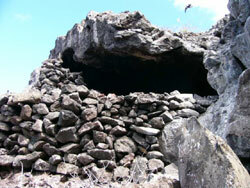 In 1997, Hui Mālama i Nā Kūpuna o Hawai‘i Nei repatriated sets of human remains to Nihoa and Mokumanana that were collected by archaeologists in the 1924-25 Bishop Museum Tanager Expeditions (Ayau and Tengan 2002). In 2003, a cultural protocol group, Nā Kup‘eu Paemoku, traveled to Nihoa on the voyaging canoe Hōkūle‘a to conduct traditional ceremonies. In 2004, Hōkūle‘a sailed over 1,200 miles to the most distant end of the island chain to visit Kure Atoll as part of a statewide educational initiative called “Navigating Change.” In 2005, Nā Kupu‘eu Paemoku sailed to Mokumanamana to conduct protocol ceremonies on the longest day of the year, June 21- the Summer Solstice.